By Alison Ohanlon | May 10, 2013. With summer (supposedly) approaching, we all want to look summer-ready without spending half our wages. Liberty reporter Alison O’Hanlon spoke to Cavan based make-up artist Amy Gargan about the best way to achieve the perfect summer look on a budget. Starting from the middle of the eye bring the liner to the outer corner and then go from the inner corner to the middle joining the two. 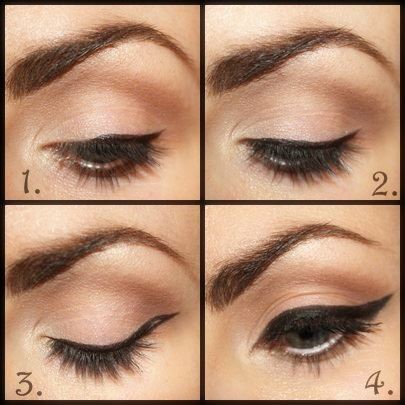 After drawing your wing, draw a line back to your upper lash line. This should create an empty triangle on your upper lid. To make you eyeliner thick, draw a bigger triangle, ending at the middle part of your lash line. Colour in the triangle with your gel liner. Using the darker shade of flipstick apply all over the lips. Finally add your lighter pink from the flipstick concentring on the centre of the lips. Rub lips together to fuse the two. Brush brows upwards using a clean spooly. 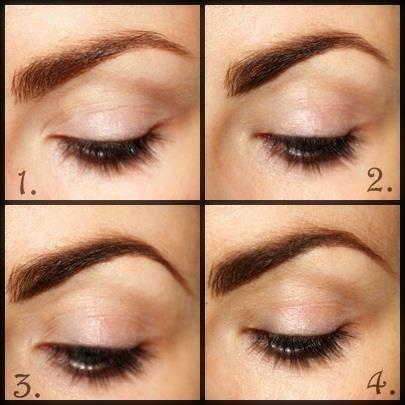 Using a brow shadow (catrice brow duo), apply product to the underneath and top of the brow and fill in! Concentrate this in the middle of the brow, leaving the front and tail bare. Take Maybeline master shape brow pencil and sharpen to a point. Fill in the tail of the brow, this is a wax product so will leave the tail of the brow looking sharp and defined, bringing it to a point. For the front of the brow, use a brow powder, and in light feathery strokes blend the product upwards creating your desired shape. All Products used can be found in any large Boots store. All looks were created by Amy Gargan, a freelance make-up artist from Cavan. For more of her work check out Amy Gargan Make-Up Artist on Facebook or contact AmyGargan93@hotmail.com. Tutorial photos by Alison O’Hanlon.